Let’s get ready to rumble! It’s National Potato Chip Day and time for the first annual Geeks Who Eat Potato Chip Throwdown! We decided that in honor of this fun food holiday, we should try some interesting potato chip flavors! First we gave ourselves some sort of baseline and decided that they should all be Kettle Cooked chips. This way the judging could be somewhat uniform. After all, it would be tough to judge Kettle Cooked versus Standard versus Wavy. The criteria chosen was Flavor (did it deliver the flavor promised), Texture (was it what we’d expect a kettle cooked chip to be), and Overall. We chose the following varieties: Sprouts Potato Co. Kettle Style Truffle Chips, Boulder Canyon Coconut Oil Pineapple Habanero Kettle Cooked Chips, Poore Brothers Kettle Cooked Sweet Maui Onion Chips, and Cape Cod Salt and Vinegar Kettle Cooked Chips. So now that you’ve met our contenders, let’s get this party started! Flavor: The flavor of this chip is very herbaceous, similar to a Sour Cream and Onion flavored chip. However, unfortunately there is no Truffle flavor to these chips. In fact, upon opening the bag we noted that there was no truffle fragrance. Texture: The texture on these chips was good and what you’d expect from a kettle style chip. Overall: These chips were tasty, but they did not deliver on the truffle flavor. 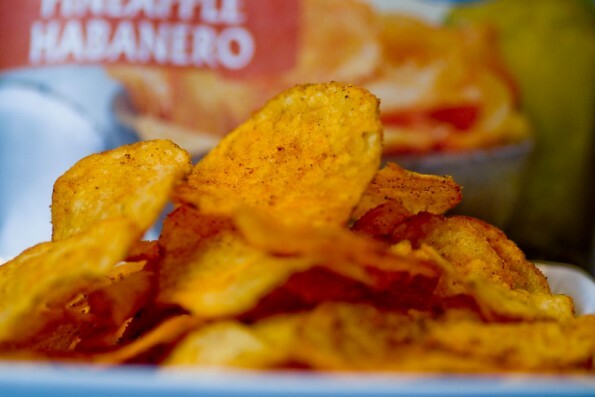 Flavor: These chips are both sweet and spicy! The flavor delivers as promised, highlighting both the pineapple and habanero. Texture: The texture on these chips was perfect. Overall: These chips deliver as promised but really are more of a novelty than a chip you’d want to eat regularly. Flavor: The onion flavor really comes out in these chips but the sweetness is not as present as you would hope. Texture: Good texture, though these chips were less crunchy than the other brands. Overall: These chips deliver close to the promised flavor and we would likely buy these again. Flavor: These chips are the quintessential Salt and Vinegar chip. They have the right balance of salt and vinegar without being too sour. Texture: The texture on these chips was the best of the bunch. Not too thin and not too thick. Overall: These chips has a solid delivery and are everything you’d want and expect from a Salt and Vinegar Chip. 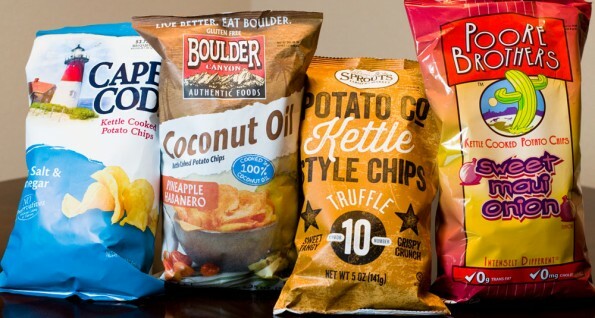 Matthew: The best chips in my opinion were the Boulder Canyon Coconut Oil Pineapple Habanero Kettle Cooked Chips. The flavor really delivered and typically with chile flavored chips all you get is heat. These chips really embraced not only the heat of the habanero but the tropical flavor as well. The rest of my rankings were: 2) Salt and Vinegar, 3) Sweet Maui Onion, and 4) Truffle. 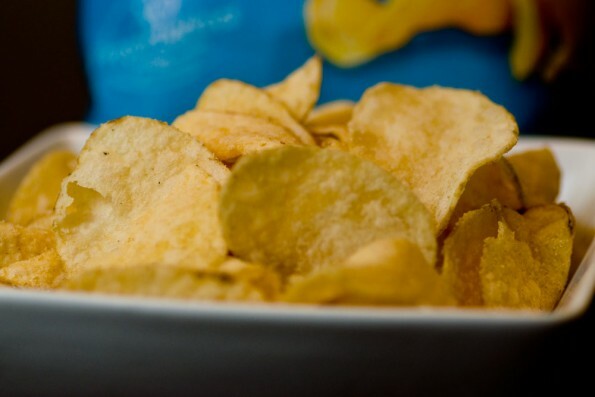 Sarah: The best chips in my opinion were the Cape Cod Salt and Vinegar Kettle Style Chips. For me, salt is the best thing about chips and the perfect combination of salt and vinegar in these chips made them the clear winner in my mind. The rest of my rankings were: 2) Sweet Maui Onion, 3) Pineapple Habanero, and 4) Truffle. 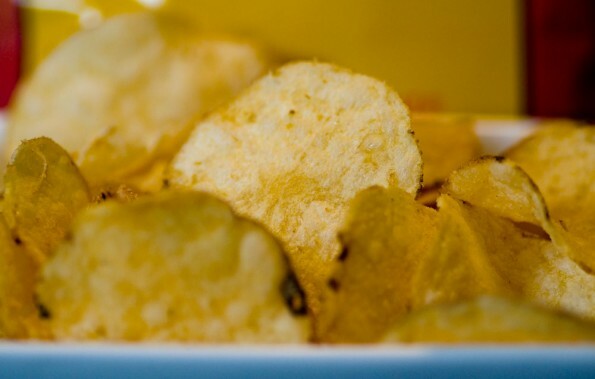 We hope you had as much fun reading about our Potato Chip Throwdown as we did eating them! 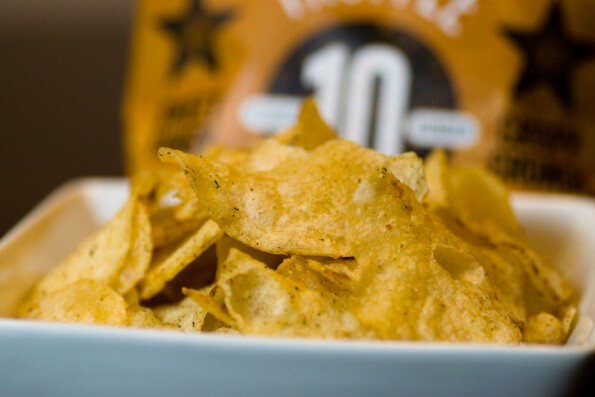 Tell us your favorite Kettle Style chips in the comments below or using the #GeekEats hash tag on Twitter! Next → Next post: Kale Yeah! It’s Kale Poblano Dip!